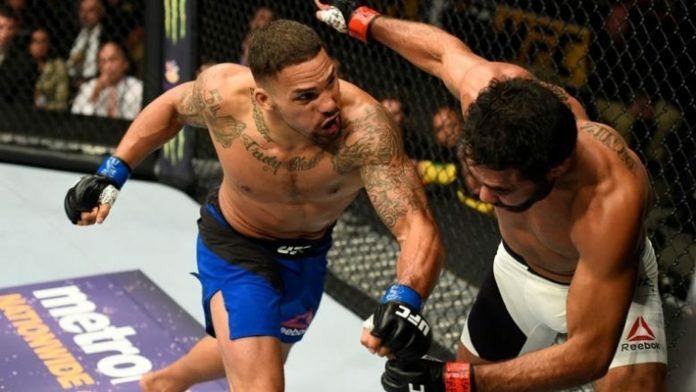 Eryk Anders remains confident as he prepares for his seventh fight inside the UFC’s Octagon. For the second time in three fights Anders is bumping up to light heavyweight. Previously fighting, now title contender, Thiago Santos on six days notice in Brazil last September. Anders is happy to be a company man and fight anyone at seemingly any weight. Being outspoken and a trash talker seems like the best way, outside of winning, for a fighter to get exposure. Anders understands why people do it, but doesn’t let any of it get to him. Listen to the complete interview and hear Anders talk about his setbacks in 2018, what shows he is watching right now on Netflix, and his prediction for his fight against Khalil Rountree. Eryk Anders fights at UFC 236 on Saturday, April 13, 2019, live from the State Farm Arena in Atlanta, Georgia. Stick with MMANews for all your fight analysis and result needs.